I hope you all had an amazing weekend and excited for a new week! Our weather here in L.A was really nice so I took advantage of the 80 degrees and spent some time outside. As everyone is gearing up for a storm on the East Coast, I definitely kept my outfit, light, sheer and fun. 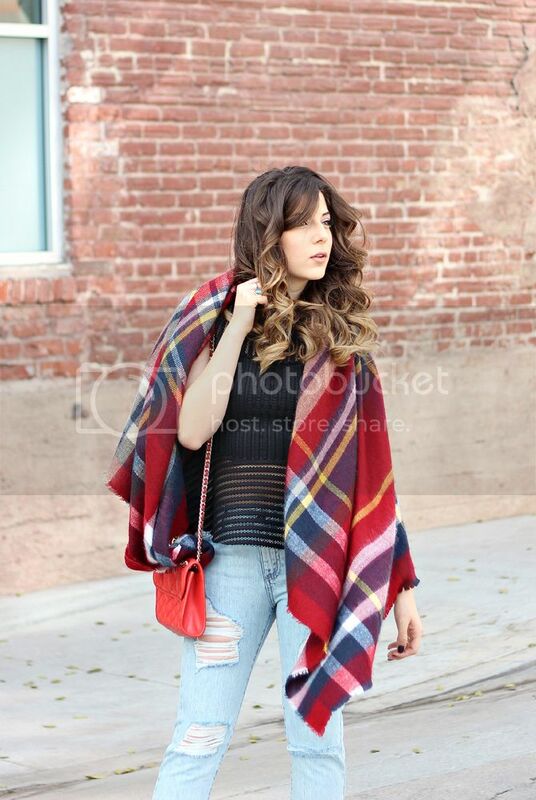 Blanket scarves were definitely a big trend for us this year and will be an even bigger trend this upcoming fall. 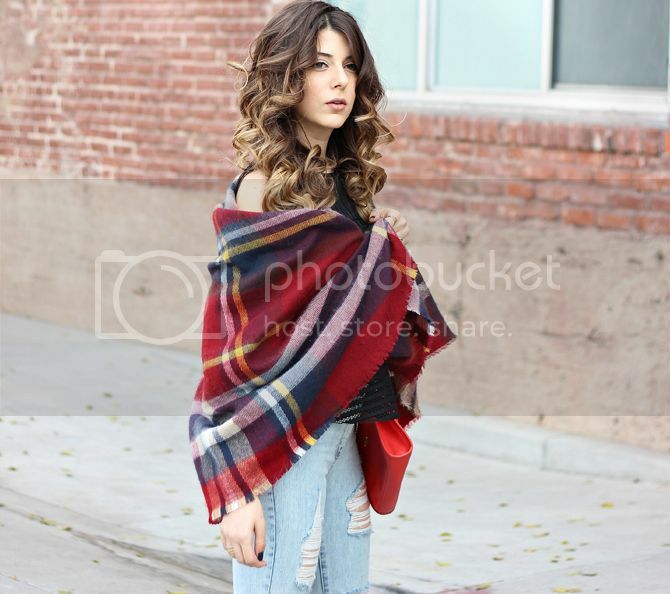 Its square poncho shape allows you to add a chic layer to complete your outfit but can add a pop to your ensemble in any print or color. Looking beautiful and feminine in this casual, daytime outfit! I like your shoes and top very much, they're great pieces! great outfit! love your hair..
Love the colorful zara scarf! 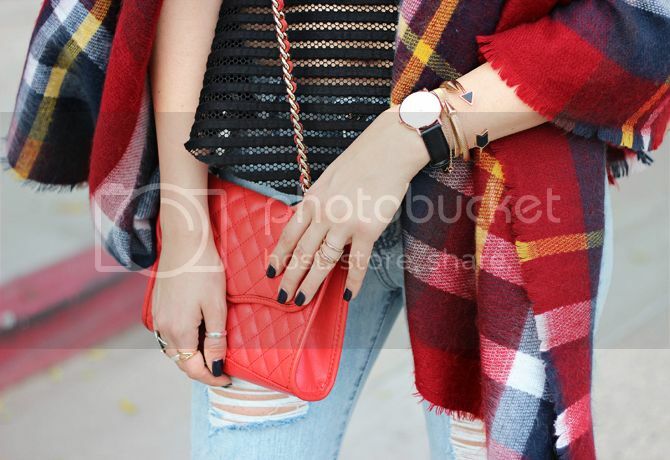 Loving this peplum top with the blanket scarf. Gorgeous.